Purgatory is located in the San Juan Mountains of southwest Colorado and about 26 miles north of the historic town of Durango. The resort is known for being one of the best values in Colorado and a great destination for beginners and intermediates. The resort is an inexpensive family destination that has gorgeous scenery combined with short lift lines and terrain options for all abilities. Durango is a unique mountain town steeped in history and home to the famous Narrow Gauge Railroad. Founded in 1880, Durango became a hub for smelting ore harvested from surrounding mountains. The resort is also close to Mesa Verde National Park, an incredible ancient city and largest archaeological preserve in the United States. The park protects nearly 5,000 archeological sites including 600 cliff dwellings. 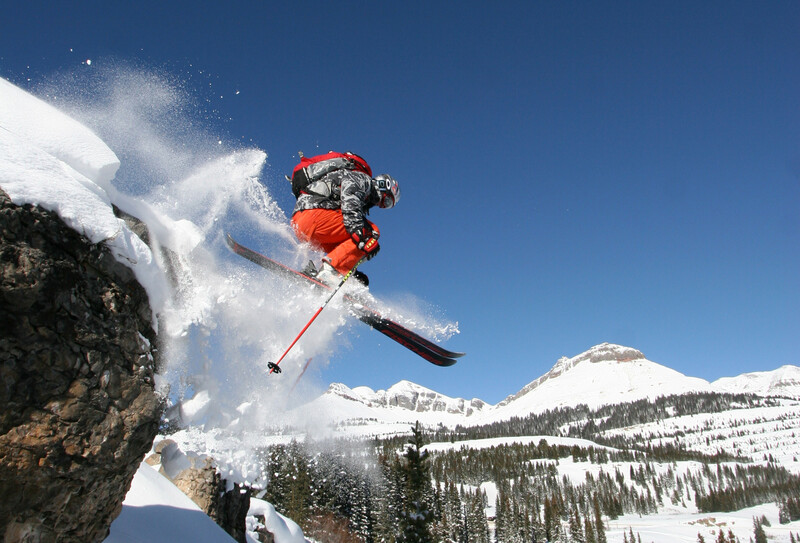 Purgatory at Durango Mountain Resort has terrain that will entertain even the most experienced skier or rider. The resort typically is known for being a great place for beginners and intermediates and contains trails with interesting rolling hills. The advanced and expert skier has a multitude of challenging mogul runs to explore. Purgatory at Durango Mountain Resort offers an impressive vertical drop of 2,028 ft situated across 1,360 acres of skier and rider accessible terrain. With an annual snowfall of 260 inches, the terrain is divided into 20% beginner, 45% intermediate, and 35% advanced to expert. The exact origin of the Purgatory name is disputed; some attribute the name to a 1776 Spanish expedition where several Spanish explorers were lost on the nearby Animas River. The bodies were never found and the explorers named the river, “El Rio de las Animan Perdidas” or the River of Lost Souls. Another theory is that miners who were trying to travel from Durango to Silverton would have to pay a toll to access the road. Miners who couldn’t afford the toll were stationed at area called Purgatory Flats because they were stuck in limbo between heading to Silverton or turning around and heading home.